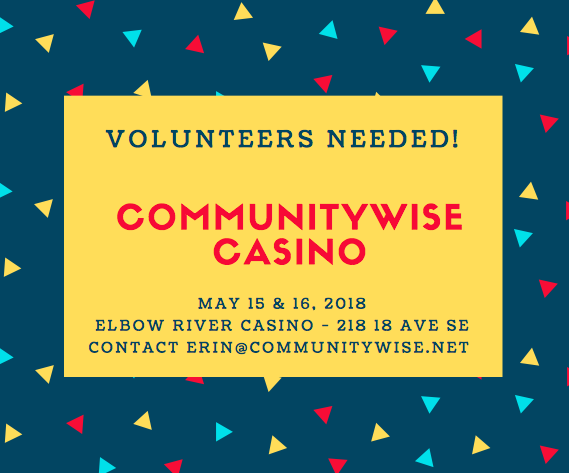 Casino Fundraiser May 15 & 16, 2018 – Volunteers Needed! Our next fundraising casino is coming up Tuesday May 15 & Wednesday May 16 at Elbow River Casino (218 18 Ave SE)​. 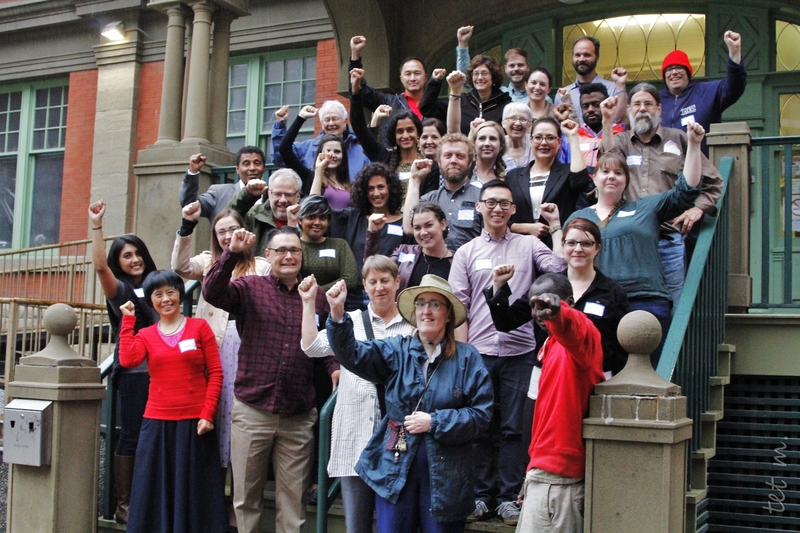 To sign-up for a shift, or for more info, please contact​ ​erin@communitywise.net. Position descriptions can be found below. CommunityWise will cover taxi costs if needed. Food will be provided at the casino. This is our​ ​biggest fundraiser of the year and funds raised go toward keeping our building operating and​ ​ensuring access to affordable and equitable community space. It’s also a way to meet other CommunityWise members! Responsible for the overall continuity of the casino. Makes sure all volunteer staff arrive and if not, has access to reliable back-up volunteer phone numbers. Some data entry experience is required. Can fill in for any volunteer positions for a short period (not a complete shift) of time if needed. In control of the cash and chip inventories. This position is mostly data entry. Redeems players’ chips for cash. Little data entry required. Delivers chips from the Banker to the game tables as required. Will count chips with the gaming floor staff as required. A fair amount of data entry is required. The count room supervisor is responsible for all count room staff and procedures. The count room supervisor reports to the general manager, and works with the general manager and banker. Will sort and use money counting machines to count money. Some data entry required.